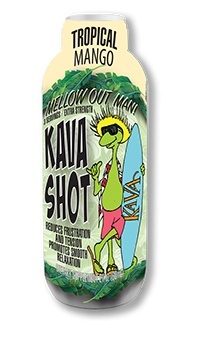 Our KAVA SHOT packs 500mg of noble kavalactones into a 2oz shot! Thnks to Polynesian Gold extraction technology we're able to provide 2 x 250mg servings of noble chemotype Kavalactones in each bottle, more than enough potency to satisfy even the experienced kava drinker. Since high quality Vanuatu roots go into making our beverage, the result is a mild flavor that pairs easily with our all natural tropical mango flavoring! Our Kava products are among the highest quality to be found anywhere and we’ve got the lab tests to prove it! Our Kava is purchased from FDA registered farms and processing facilities, imported to our FDA inspected, GMP compliant facility where it is quarantined until it is thoroughly tested and issued a full certificate of analysis from the American Kava Association. It is then packaged in a GMP cleanroom complete with lot numbers and expiration dates, to ensure that our customers get the highest quality, FDA compliant Kava products on the market. Explorer Captain James Cook, on his voyage to the Pacific in 1768-1771, discovered Kava, what the pacific islanders have known for over 3,000 years. Recognized for its medicinal effects, the famous explorer was the first to give Kava its botanical name of “intoxicating pepper”. According to Cook’s account, natives chewed or pounded the root and mixed it with water to produce a brownish, often bitter brew which they consumed in cultural & religious ceremonies. Kava is now available to anyone seeking to calm nerves or ease stress as well as anxiety while combating fatigue the natural way. Its special anti-depressant components fight the “blues” and bring on a happy, tranquil state. Kava is amazing for treating ailments like migraine headaches and cramps but best of all, it keeps the mind alert as the body relaxes. In recent years, the rest of the world has been catching on to the benefits of this relaxing herb. Kava has become very popular for recreational purposes and as an herbal remedy. If you need to relax, and who doesn’t these days, why not enjoy a kava chocolate bar or shot and feel your worries slip away!